Ciao, Amici! Italians are crazy about Ferragosto! They brave bumper to bumper traffic to go the the beach on vacation where they are supposed to enjoy nature and time away from ‘crowded’ cities while resting and relaxing…. While this is an excellent idea, reality often turns out to be quite different! In the meantime, the great Italian cities are wonderfully empty, a true paradise for tourists and ‘home bodies’. I grew up in Rome and my very favorite summer time was….Ferragosto in the Eternal City. Have a look at the photo on your right and you will understand why. 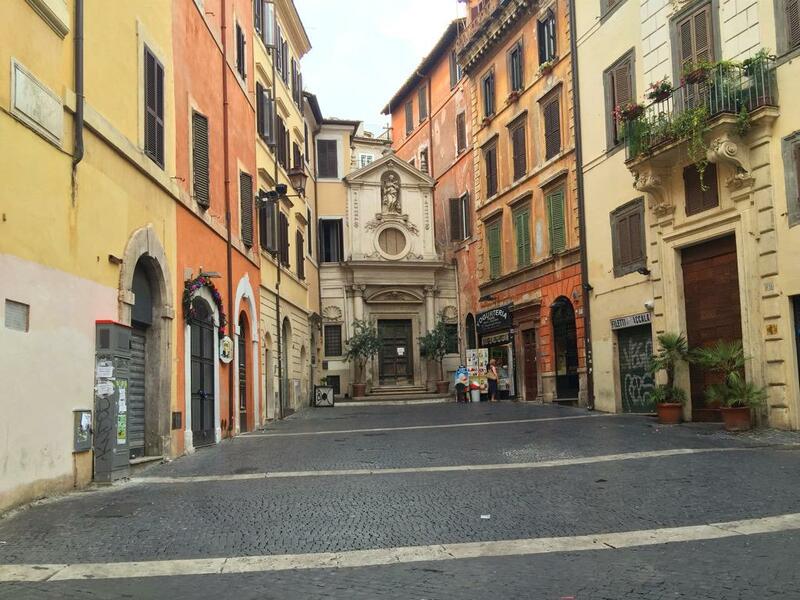 This is a street in the historical center of Rome. There is no one about and all stores and apartment windows are closed. Most of the Romans are away on vacation! Why? Have a look at the short history of Ferragosto at the end of this post and you will find out. We are lucky to be living in beautiful Santa Barbara where you can do something wonderful to celebrate this ancient Italian holiday without going out of town. Just join us at the Montecito’s beautiful Lower Manning Park for a FABULOUS, “FUNTASTIC” FESTA DI FERRAGOSTO! You will not only have fun but, in doing so, you will also benefit our local students by helping us raise money for our Scholarship Fund. All for a good cause! We changed the menu a bit this year to better reflect the taste of Italy. We will offer a 3-course Italian “pranzo” (midday meal) that will include the following: “antipasti” (appetizers), main course and desserts. Wines, beer, water, soft drinks and coffee will be included. Some of the dishes will be prepared by our volunteers according to Italian family recipes. I know you will be delighted with our choices! And while you are eating the delicious food, you will be entertained by live music! We are sure that some of you might like a bit of activity after the “pranzo” to burn off excess calories, so our Games Committee is organizing a bocce tournament for good fun and comradeship. Italians are big on families so we would love local families to participate. As in the past, this event is open to everyone, “grandi e piccini” (adults and children)! Want to bring your special wine? NO Corkage fee! August is when all Italy, or so it seems, stops work to celebrate. What we Italians are celebrating on August 15 is actually quite interesting because this festa has elements of both the Roman and the Christian worlds. First proclaimed by the Emperor Augustus in the year 18 BC, the feriae Augusti (the Holidays of Augustus) originally lasted for all or most of the month of August, month that was so called in his honor. It was a time when everyone felt they could relax after the hard work of the harvest and, unusually, a period when the nobility mixed with the laboring classes. The Romans feted the gods of agriculture and the gods associated with the change of seasons. 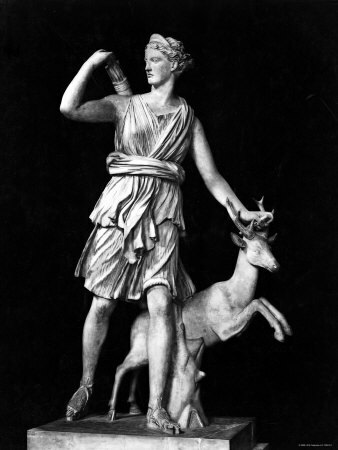 Roman women feted Diana, goddess of hunting but also of maternity because of her association with the phases of the moon. Along the centuries, the festival evolved from being a month-long event to an event celebrated in the second half of August and later became a one-day celebration especially due to the Christian celebration of the Assumption of the Virgin Mary that falls on August 15th. Yet in some parts of Italy there are echoes of the ancient, longer celebration in the habit of closing down shops for a week or two. 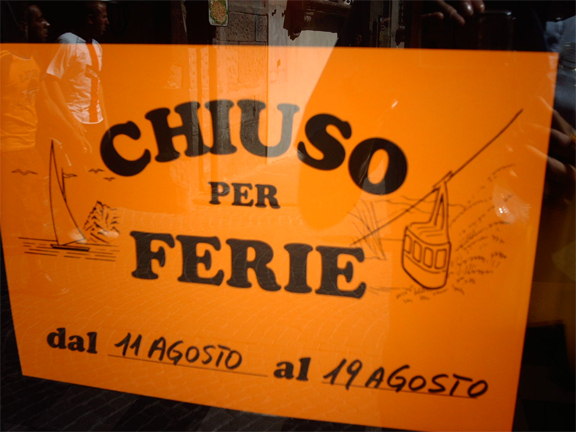 “Chiuso per ferie” is what is written on the notices on the closed rolling shutters of the shops. During the day, the center of many Italian towns are deserted as people gather in the countryside or at the beach with relatives and friends to celebrate. But the night is a different matter as in many towns and even in small villages fireworks will illuminate the sky. If you are going to be in Italy during this period, it is always worth checking whether there will be a special Ferragosto celebration where you are staying. It will be a lot of fun and something really special to remember! This entry was posted in Circolo Italiano, eventi-bocce, eventi-cultura. Bookmark the permalink.